2017 Update: The Weekly Dog Walking Meetups ended in December 2016. We are starting a new group activity in March 2017 where you can bring your dog for a one hour agility session. Great fun, sponsored by Active-In UK, all the details to follow shortly. Want to meet other local dog owners? Then this could be for you! Joining is simple – just turn up and on your 1st walk you attend there will be a simple form to fill out.. that’s it! 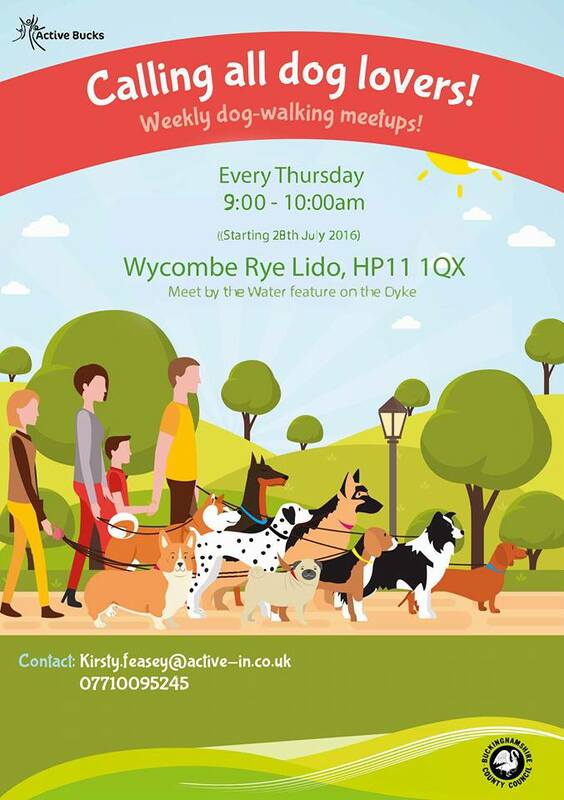 Every Thursday from 9:00 to 10:00am, meetup at Wycombe Rye Lido by the water feature on the dyke. "The secret of architectural excellence is to translate the proportions of a dachshund into bricks, mortar and marble." "There is no faith which has never yet been broken, except that of a truly faithful dog"
"I sometimes look into the face of my dog Stan and see a wistful sadness and existential angst, when all he is actually doing is slowly scanning the ceiling for flies." "Once you have had a wonderful dog, a life without one, is a life diminished." "If you pick up a starving dog and make him prosperous he will not bite you. This is the principal difference between a dog and man." Starting on 28th February 2017: weekly morning dog agility classes at three locations, Monday to Wednesdays. Designed with light-hearted fun in mind, these are non-competitive sessions aimed at enhancing your relationship with your dog.